Clayton-area drivers in the market for a pre-owned vehicle have two options: used and certified pre-owned. Both offer benefits and drawbacks, so it’s important to understand the similarities and differences between certified pre-owned vs. used before you start your car-buying process. Certified pre-owned vehicles are typically considered a less risky purchase because there are requirements a vehicle must meet to become certified. Each vehicle must also undergo a multi-point inspection and usually comes with extended warranty coverage. Vehicles that are certified pre-owned have less mileage than other used cars, though they often have a higher price tag than a regular used vehicle. CPO vehicles are a good option if you want a newer, more updated vehicle for your commute in Frontenac, but you aren’t looking for a new car. Used vehicles, of course, come at a lower price than new vehicles. They’re also typically more affordable than a certified pre-owned car. For example, we have an inventory of used cars under $20,000 for sale. When you buy a used vehicle, you don’t have to worry about the effects of depreciation. These vehicles may have more mileage, but some cars and SUVs can last more than 200,000 or 300,000 with proper care and maintenance. That being said, it’s important to inspect any used car you’re considering and take it for a test drive. That way, you can make sure that everything looks good, and that the vehicle performs properly. 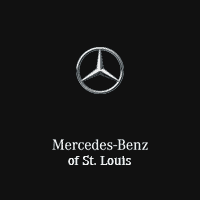 Now that you know more about certified pre-owned and used vehicles, it’s time to explore our inventories, then contact us to schedule a visit our showroom near Ladue for some test drives. We’ll also be happy to walk you through the various car features or financial options available.